In the United States, the most dangerous line of work is construction, and every few years, the construction industry booms in southern California. People are seriously injured at construction sites every day in this state – thousands every year. Workers’ compensation benefits alone are almost always inadequate to meet the needs of the most severely injured victims of construction accidents. A construction accident injury victim in southern California may be told that workers’ comp is your only option, but that is not always necessarily true. You may have other legal alternatives. Take the time to discuss the full range of your legal options with an experienced Riverside construction accident attorney – Chris Purcell at Purcell Law – after sustaining any construction-related injury in southern California. WHAT ARE THE COMMON TYPES OF CONSTRUCTION ACCIDENTS? WHAT ARE THE MOST COMMON CONSTRUCTION ACCIDENT INJURIES? If someone besides your employer was responsible for your injuries, you may be entitled to compensation outside of workers’ comp. To discuss the details of your case and whether or not you are entitled to compensation, call attorney Chris Purcell for a free consultation. If you work on a construction site or visit a construction site in southern California, you probably presume that reasonable safety precautions have been implemented and that the site is in compliance with all applicable laws and regulations. You probably also presume that the construction workers have received proper safety training and that the construction equipment is safe and operating properly. In other words, you probably make the presumption that you are not at risk. But far too many times, on too many construction sites, that presumption has been wrong. A construction accident injury victim is entitled to file a third-party personal injury claim if a person or persons other than the employer was at partial or complete fault for the injury. Third parties might be subcontractors or contractors, property owners, equipment manufacturers or operators, or any other party who might be held accountable. If you’ve suffered injury on a construction job, Chris Purcell will give your claim his complete personal attention. If you are not offered the right amount, Chris will take the case to a jury of your peers and ask them to award you the maximum available compensation. WHO CAN RIVERSIDE COUNTY LAW FIRMS HOLD ACCOUNTABLE FOR YOUR INJURIES? There are a number of different third parties that may be liable for your construction accident injuries. Contractors and subcontractors, for example, have a legal obligation to provide a reasonably safe construction site and warn their workers of any hazards present. Prime contractors may also be held responsible similarly to contractors or subcontractors, but they are only held liable for the specific project they were hired to do, not the general construction site. Manufacturers of construction equipment can also be held liable if a defective product was the cause of your accident. The owners of the land may also be held liable if they were aware of a potential hazard on the site. Even the architects and engineers involved with the construction project may be held liable. Depending on the contract they have with the land owner, architects and engineers could be responsible for conducting inspections on the site to ensure everything is in compliance with code regulations. This is not an all-inclusive list of third parties that may be held liable for your construction accident. If you have been injured at a construction site, first get medical attention for your injuries immediately, and keep all documentation related to your treatment. Then, report the injury to your supervisor and make sure you remember who you contacted about it. File an official report and ask for a copy of it. Get the names and phone numbers of anyone who was on site at the time of your accident who could serve as witnesses in your case. Try to take as many photographs of the construction site, debris, and your injuries as possible. The more evidence you have for your case, the better the outcome may be for you. After you have completed all of these steps, call an attorney right away. Contact the experienced attorney Chris Purcell to discuss your case and review your legal options. Construction companies are required to carry workers’ compensation insurance for all employees who are actively working on a construction site. Workers’ compensation is designed to cover the medical expenses and lost wages of an employee who has injured himself on a construction site, but there are limits to the compensation you can receive. Because of these limits, workers’ compensation is often not enough, which is why you should always work with a lawyer to seek damages beyond worker’s comp. When you’re a construction accident victim, medical expenses can add up swiftly, and workers’ comp is almost never enough. 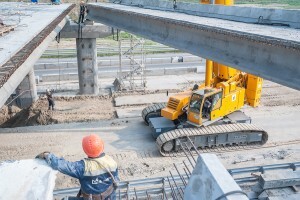 If you are injured doing construction work or at a construction site in southern California, you’re going to need an experienced Riverside construction accident lawyer to help you win the compensation you need. With more than twenty years of fighting for the rights of injury victims, personal injury attorney Chris Purcell knows what it takes to prevail on your behalf. He has experience representing people in cases involving construction accidents, motorcycle accidents, bicycle accidents, dog bites, motor vehicle accidents, pedestrian accidents, product liability, premises liability, and slip and fall accidents. Chris handles injury claims on a contingency basis, so victims pay no fees unless and until Purcell Law recovers your compensation. Call 714-332-5098 to arrange a free consultation, or contact Purcell Law by email today to receive legal advice regarding your case. Chris Purcell is one of the most talented trial lawyers in the country. His ability to master complex medical and other issues is extraordinary. However, I am most impressed with his passion and caring for his clients. I highly recommend Chris to anyone looking to have an an amazing lawyer in their corner. Purcell Law did an excellent job representing us. Mr. Purcell was very proffessional and extremely prepared when we went to court. His courtroom presence was fantastic. We would not hesitate to have him represent us again. Great experience from beginning to end - efficient, knowledgeable, understanding and very professional! I highly recommend Purcell law. Copyright © 2019. Purcell Law. All Rights Rese​rved​​.